Kate Conway is a freelance television producer living in Chicago, working on a new television series called Missing Persons. Things become much more complicated when Kate’s ex-husband, Frank, is found dead. An interesting look into the complexity of filming a television show, as well as a satisfying murder mystery, this multifaceted novel is sure to keep readers riveted from beginning to end. When Kate Conway’s soon-to-be ex-husband is murdered, the first person the police look into is Kate herself. After all, they had a nasty, public fight soon before his body was found, and the prime suspect always seems to be the grieving widow in cases like this. Kate needs a distraction from the horrible events going on around her, but as a freelance television producer, work isn’t always steady. Luck is on Kate’s side, though, because she is asked to work on a new television program called Missing Persons. It’s a true crime TV show that investigates unsolved disappearances, and Kate’s first subject is a woman named Teresa Moretti. Teresa has been missing for a year and although Kate only needs enough information to fill 22 minutes of airtime, she feels drawn to this case. She continues to dig deeper and is shocked by what she finds. 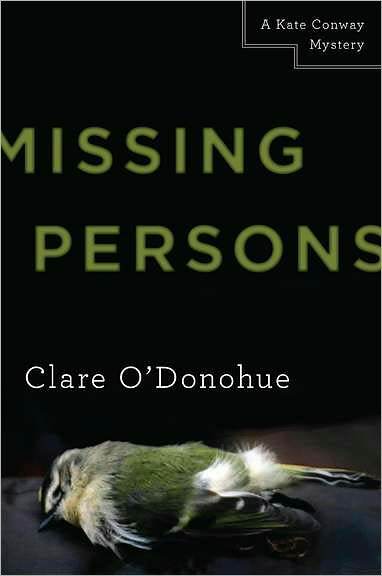 A mix of a murder mystery, a missing persons case and a fascinating look into how documentary-style television programs are made, Missing Persons is a gripping novel that will have readers hooked. Kate’s grief at Frank’s death fuels her desire to find the truth about Teresa Moretti and what she discovers is surprising and unexpected. It’s a great start to what is sure to be a wonderfully complex and layered series.